The photo id for this photograph is 139, in the People album. 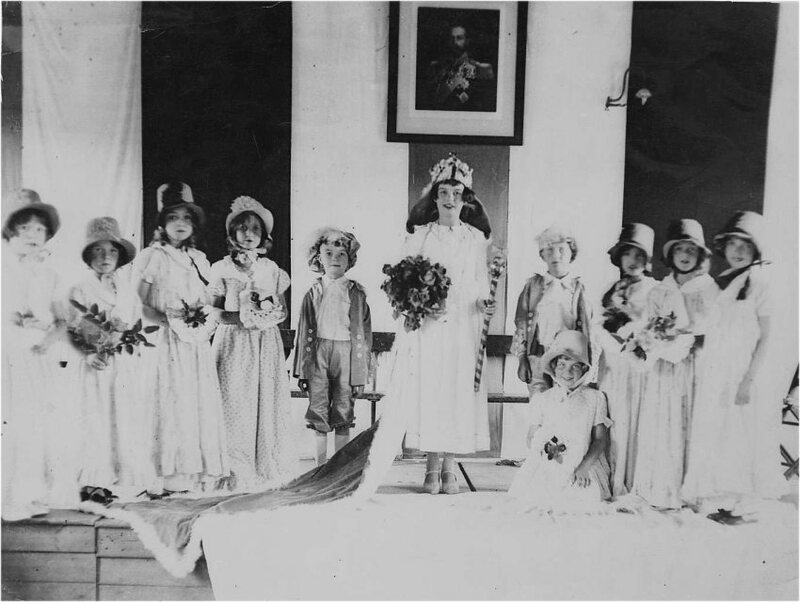 The rose queen is Freesia May Lockett later to become Freesia Lomas when she Married Charles Lomas. Freesia and Charlie were my Mum and Dad. The photograph was taken on July the 4th 1931. Mum would have been 11 years old. Lou, did Freesia work at the Whaley Bridge Manufacturing Co in Wheatsheaf Road? I seem to recall a lady in the canteen by that name when I used to go to work with my Gran on my visits to Whaley. Yes she did indeed work in the canteen. From what I remember they were very happy days for her.